But please don't ignore me: I'm like that... just double. I would say this is of a piece with an oldie around here... The Lament of Thursday the 12th. So many days... and all of them special, I tell ya. And hey, even though I've been silent for months, that doesn't mean the blogosphere has been, as you can see by checking out this week's Poetry Friday roundup over at A Journey Through the Pages. So much yummy goodness! I'm waiting and waiting and waiting and waiting. Starts playing again, and I'm starting to snooze. I swear the composer was aiming for moaning. I just have five questions! It's like they don't care. And find them in person. It makes me a wreck. Life sure is harder since Mom went high tech. Oh, sure... this might be as much for a parent as child... or might've been written entirely while on hold with an unnamed company. I'm not saying anything, I tell ya! But whatever... it's here and now it's yours to decide about. 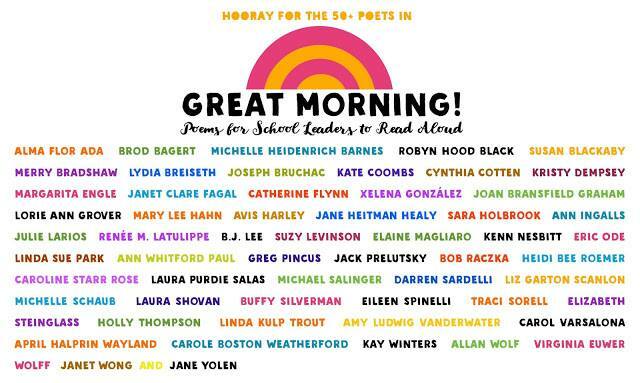 And hey, it's Poetry Friday! The fantabulous Irene Latham is hosting this week's roundup, so you should head on over and see all the poetry goodies in the blogosphere here on the last Friday of National Poetry Month. 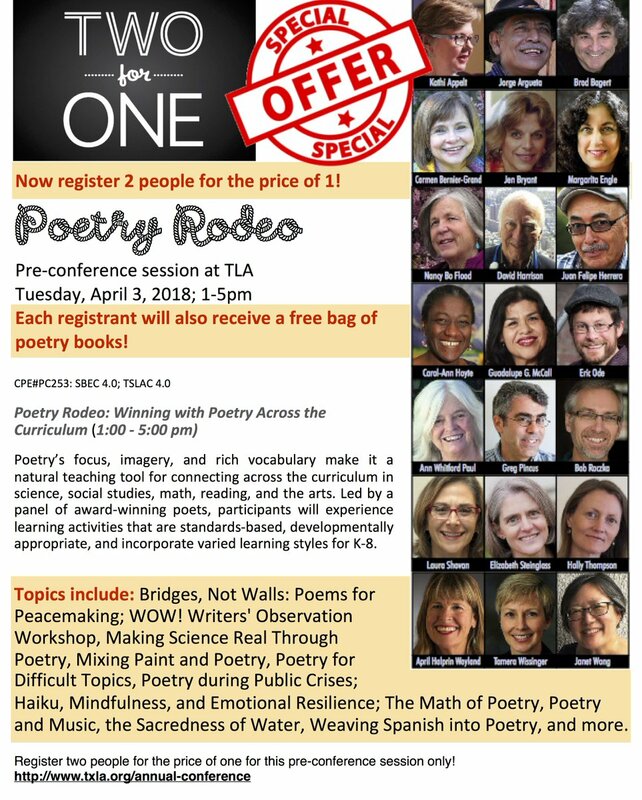 I hope to see you there (and if you're going to be at TLA but can't make the Rodeo, let's see if we can say "hi" anyway)! I know I've been quiet. I've not posted much. I've ended up busy with work, life, and such. But I miss you and wanted to say "I am here. And I wish you a happy and healthy new year!" 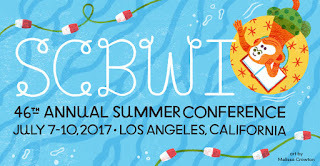 The SCBWI Summer Conference - See You There? 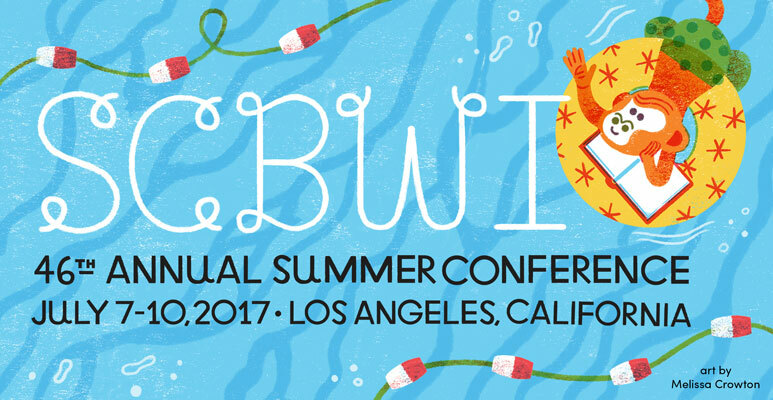 It's almost time for the SCBWI Summer Conference here in Los Angeles. Will I see you there? I mean, I'm going to be there - I'm doing social media consultations so am part of the event - so it's really more a question of how many of you will be. It is my favorite conference, I admit, because it feels like hanging out with 1000 of my friends. And have you seen the lineup of people speaking and offering sessions this year???!!!! Egad. Anyway, if you're going to be there, I hope you'll find me and say "hi!" Come see me on May 20th! 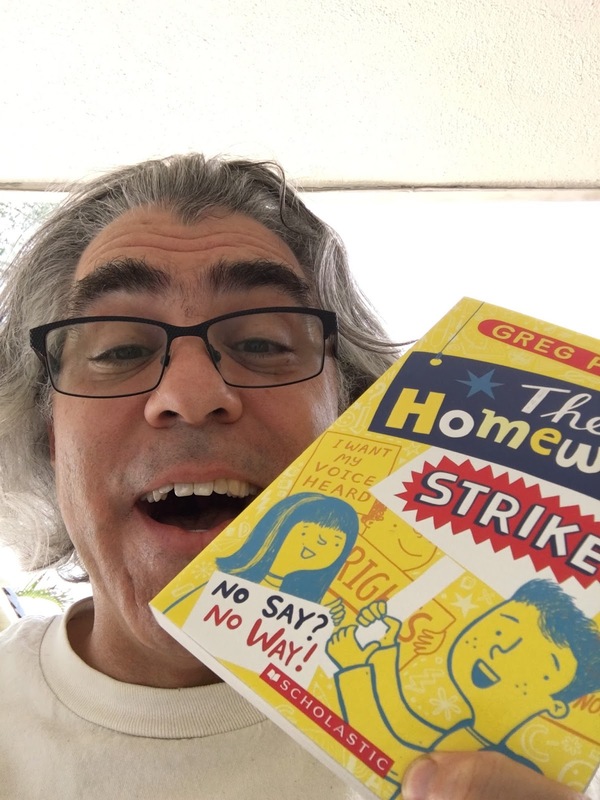 If you happen to be in the greater Los Angeles area... or even more specifically Burbank, CA... this Saturday, May 20th, why not come to the Barnes & Noble at 2PM to say "hi" and hear me talking about The Homework Strike (and more, perhaps!)? I'd love to see you there. All the info is here at the Facebook event they kindly put together... or just come by 731 N. San Fernando Blvd, Burbank, CA 91502. You'll be glad you if you come, I think, but I know for sure I'll be glad if you do! 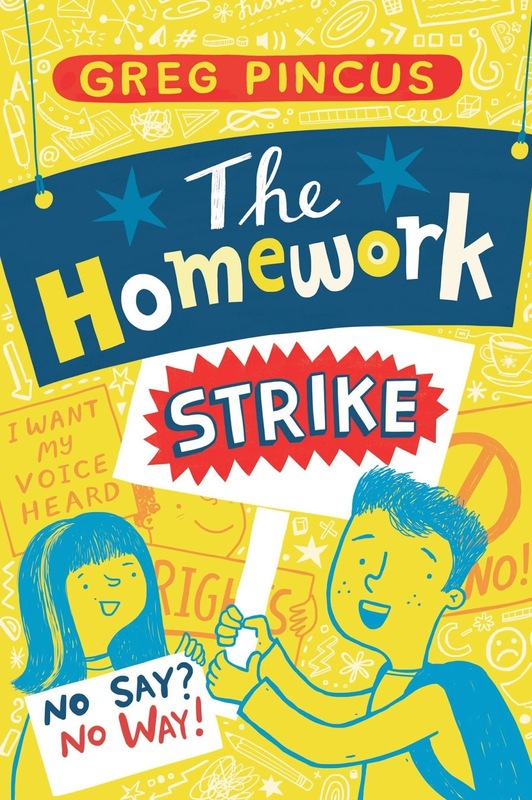 Here's an article that really resonated with me after all my Homework Strike research (and real life experiences): Never Mind the Students; Homework Divides Parents. 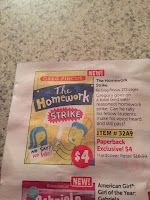 Parents have a lot of reasons that they want their kids to get homework far beyond the "we had it, so they should have it" variety. But who is school for? What best serves kids? These are tricky, tricky issues for schools, parents, and students, too. The comments on that article are pretty fascinating as a snapshot. I said “I’m allergic to homework. It makes me cough and wheeze. My teachers would never believe me. I’ve got a doctor’s note! 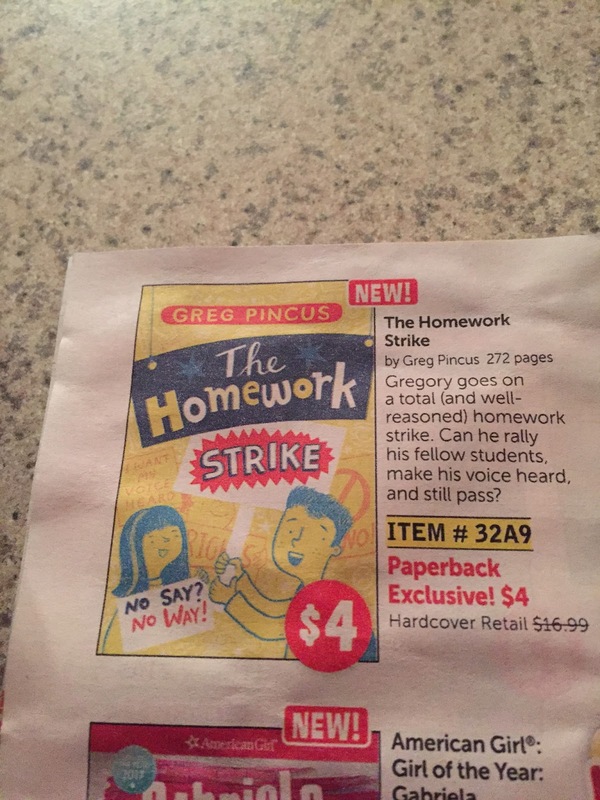 Originally posted here back in 2008, this poem makes an appearance in The Homework Strike, too. Oh... and if only it had been true! 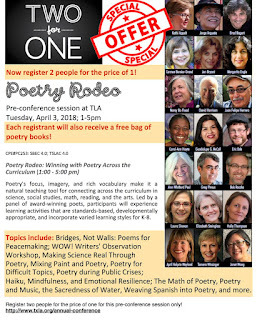 It's Poetry Friday, so why not check out this week's roundup o' poetry goodness over at Robyn Hood Black's Life on the Deckle Edge? This poem was first published back here in 2006 (!!! ), so I'm thinking it's probably new to most of you. I've been doing some blog maintenance and re-reading some older posts... and I gotta say, I look forward to dusting off some more this year. None of the others, however, will make you think of burnt sienna (or that's my guess!). 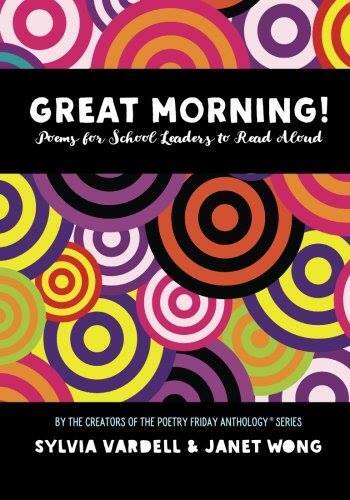 This week's Poetry Friday roundup is over at Beyond LiteracyLink. 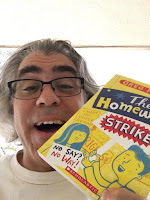 You oughta check it out, cuz, like, poetry is a good thing! Also, if you want to get all my poems emailed to you for freeee as they hit the blog, enter your email address in the box below then click subscribe! It is Poetry Friday yet again! Check out Violet Nesdoly's blog for the weekly roundup of links o' poetry related goodness. And go create some art! If you live anywhere near Thousand Oaks (that's out here near Los Angeles for those of my readers who are wondering), why not come to a Book Talk Tea on Sunday, January 29th at 2PM with me and a group of amazingly talented folk (Lisze Bechtold, Barbara Bietz, Mary Ann Fraser, Joan Bransfield Graham, Laura Lacamara, Kirsten Larson, Michelle Markel, Alexis O'Neill, Antoinette Portis, Greg Trine and Eugene Yelchin are all scheduled to be there!)? It promises to be a blast. 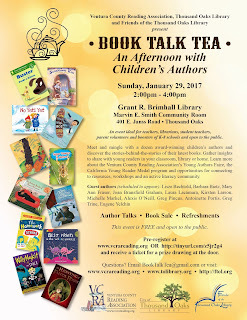 Tea and book talking sounds calming and invigorating at the same time, don't you think? 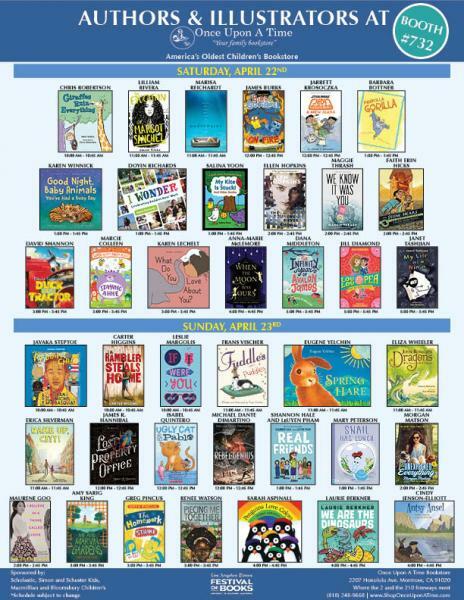 It does to me, and I cannot wait to be at this Ventura County Reading Association event. Hope to see you there!